Our 2018 Parade of Homes Model! 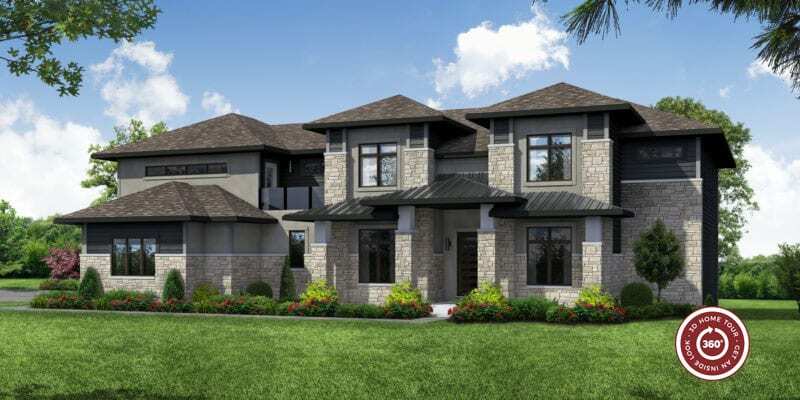 Westridge Builders is proud to present the Wynmoor, exuding contemporary style throughout the home. Elegant stonework coupled with warm exterior colors wrap around this beautiful two-story home. Rich metal roofs accent the exterior to highlight the modern feel. The foyer opens into a two-story great room with 2 sliding patio doors & windows above opening onto the covered deck. Step outside to enjoy the beautiful weather or BBQ for your next gathering no matter the weather. The dining room is open to entertain and your attention is drawn to the beamed ceiling design above. The gourmet, open concept kitchen features a large island for cooking or eating overflowing into the hearth room with stone to ceiling at the fireplace. Don’t miss out on the hidden lift TV between the kitchen & great room. With family always in mind, we’ve designed a private in-law suite. Here, your in-laws can relax in their room with a large walk in closet that includes their own washer/dryer, and a spacious bathroom for ease and comfort. As you make your way up the mill made stairs, you’ll notice the glass panel railing not only keeps the contemporary feel in the home but keeps the great room feeling open. The master suite is tucked away, a true retreat for both you and your spouse after a long day. Breathe deep & relax in your own sitting room that couples as a personal dressing room with His and Hers walk-in closets. Through the double doors you’ll find the master bath and feel like you are in your own personal spa haven. Release the day’s stresses in the lavish freestanding tub or double head shower. Contemporary with a bit of charm, the Wynmoor puts a new twist when you think of a “modern” home with traditional values. Westridge Builders is proud to design and build a quality home for today’s home buyer. The Wynmoor can be customized to meet your specific needs showcasing superior craftsmanship. We are committed to delivering premier knowledge and experience for you.